Physician in ordinary to King Juan II. of Aragon (1458-79); skilful oculist and learned astrologer. In Sept., 1468, he freed the king, who was seventy years of age, from a double cataract of the eyes, which had caused his total blindness. 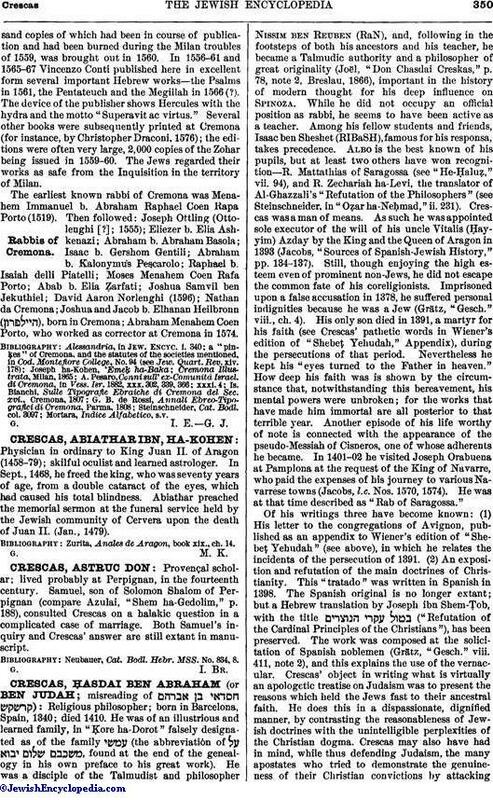 Abiathar preached the memorial sermon at the funeral service held by the Jewish community of Cervera upon the death of Juan II. (Jan., 1479). Zurita, Anales de Aragon, book xix., ch. 14.